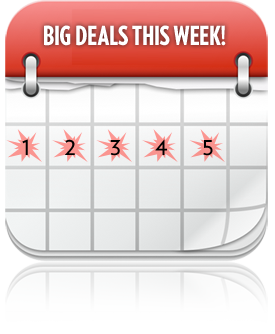 This upcoming week is full of deals for our members! There will be six exciting deals spread over 5 days. From 5x's Comp days to bonuses for every type of player, this is the week to play at Fly Casino. Check out the list below to get acquainted with 5 days of exciting deals exclusively at Fly Casino. On Monday one of members had quite the day at Fly Casino. Michelle L. from the UK won £6700.00 spread out over Iron Man 3, Dolphin Cash, and European Roulette. All this on her initial deposit of £55.00. When asked about her win Michelle shared with us that she has never had a day like that in her life. She plans on using some of the winnings to buy her son a great birthday present. Congrats Michelle and welcome to Fly Casino! Deposit 50 and get 60.00, it's that easy. On Saturday July 27th, 2013 from 00:00 GMT until 23:59 GMT, all members are invited to claim a $/£/€60.00 bonus on your first deposit of $/£/€50 or more. You may claim this bonus three times for $/£/€180.00. On Monday July 29th, 2013 from 00:00 GMT until 23:59 GMT all members are able to receive a $/£/€20.00 bonus on any deposit of 10 or more. You can claim this bonus two times for up to $/£/€40.00 in bonuses. Also on Monday July 29th, 2013 from 00:00 GMT until 23:59 GMT all Fly members will earn 5X comp points on all games! 5X's more comp points on every game to go along with the $/£/€10 for $/£/€20.00 bonus. Now that's value! Deposit $/£/€150 or more and receive $/£/€200.00 in bonuses on Tuesday July 30th, 2013 from 00:00 GMT until 23:59 GMT. So if you deposit $/£/€150 you will have a bankroll of $/£/€350.00 to play with! We don't call it Big Money Tuesday for nothing. On Wednesday July 31st from 00:00 GMT until 23:59 GMT on any deposit of $/£/€80 or more you will receive a $/£/€110.00 bonus. With that big of a bankroll you sure can get wild at Fly Casino.